About | The Law Office of Gregory Kuczinski, Esq., P.C. The Law Office of Gregory Kuczinski, Esq., P.C. is a consortium of attorneys combining over fifty-seven years of legal experience with over 58 years of law enforcement experience. 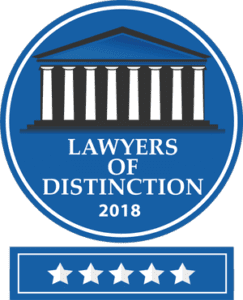 We are a full-service law firm highly rated by Martindale-Hubble and listed in the Million Dollar Advocates Forum. Our primary objective is the swift resolution of cases with the most favorable outcome possible for our clients. The firm prides itself on its diversity and its attention to detail which ensures that personal attention is given to each issue in every case. We match attorneys to the particular needs of the individual clients. In addition to working closely with our clients, we offer a unique approach to legal representation: we avail ourselves to our clients 24 hours a day, 7 days a week. Accessibility and accountability is one hundred percent. We are both responsive and receptive. Our attorneys and staff are well versed in handling all aspects of criminal and civil matters, including, but not limited to: Personal Injury, Real Estate, both Residential and Commercial; Domestic Relations; Public Employee Discipline and Confidential Investigations. Gregory Kuczinski, the founding member, is involved in both the day-to-day operations of the firm as well as the overall management of all cases. The firm enjoys a reputation for integrity, honesty, and reliability. Our clients are confident that we provide superior representation and serve their needs in accordance with the highest standards in our profession. We promote quality assurance through stringent case monitoring and client satisfaction surveys. All clients experience courteous, personal and professional attention to their matters and receive prompt return telephone calls. Gregory Kuczinski has been in private practice for over twenty-three years and is the managing partner of the firm. In addition to his legal career, Mr. Kuczinski has over 17 years of law enforcement experience. He was a police officer and supervisor in the New York City Police Department where his last assignment was overseeing investigations into apprehending fugitives. More recently, Mr. Kuczinski was the former Deputy Commissioner for the NYC Department of Corrections Investigation and Intelligence Divisions, the two largest and most critical units within the Department of Corrections. This experience makes him well suited to represent your interest in any criminal or civil investigation as well as well as in a myriad of legal settings. As an attorney, Mr. Kuczinski has litigated cases in Local, State and Federal Courts, and has personally recovered millions for his clients in damages. Mr. Kuczinski is a member of the New York State Trial Lawyers Association, the New York State Bar Association and the Million Dollar Advocates Forum. He earned his law degree from Fordham University School of Law and he is admitted in both New York and New Jersey, as well as the Federal Courts of the Southern and Eastern Districts of New York, the District of New Jersey and the Supreme Court of the United States. Mr. Dailey has been in practice for over twenty-three years. During his years as an attorney, he has held positions ranging from an Assistant District Attorney in the Bronx County DA's office to Managing Attorney for the New York Police Department's Advocates office. As a result of his various roles, Mr. Dailey has extensive knowledge and experience in both criminal law and the disciplinary process for public employees. Mr. Dailey retired from the NYPD as a Lieutenant after 20 years of service. In his private practice, Mr. Dailey has litigated cases in family, personal injury, and criminal matters. He has also litigated cases in both state and federal courts, at the trial and appellate level. He earned his law degree from Fordham University Law School and is admitted in both New York and New Jersey and the Federal Courts. He is a member of the New York State Trial Lawyers Association, Association of Trial Lawyers of America, the American Bar Association, and the New York State Bar Association. Mr. Dailey has published "Compelled Statements of Government Employees", which was published in the New York Law Journal and then again in the NYSBA Criminal Newsletter. Mr. Smith has been in private practice for over ten years. Mr. Smith, in addition to handling civil and criminal matters, has extensive labor and discipline experience for public uniformed members having served as the immediate past First Vice President of the Westchester County PBA. Mr. Smith recently retired from the Westchester County Department of Public Safety after 20 years of service. Mr. Smith represented his members in all aspects of union member rights, including, but not limited to, terms and conditions of employment; discipline; administering GML 207-C procedures and also acted as the Chairman of the Association's collective bargaining committee and was responsible for negotiating and settling collective bargaining agreements between the County of Westchester and the Police Union. During his law enforcement career, he held positions such as Special Operations, DEA Federal Task Force and the Office of the Chief of Investigative Services. As an attorney, he has handled cases from real estate transactions to personal injury. He is a member of the New York State Bar Association, the Westchester County Bar Association, American Bar Association, Public Safety Media Communications and is a certified NYS Police Instructor. He earned his law degree from Pace University School of Law and is admitted in New York and the Southern District Courts. Mr. Galgano has been in private practice for over 17 years. Mr. Galgano specializes in criminal and appeal matters, as well as real estate. He has litigated cases in both Federal and State Courts. His relentless pursuit for justice for his clients is second to none. He has published numerous articles and is well respected among both his adversaries and peers. Mr. Galgano also has extensive experience in real estate matters, including developments, transactional in residential and commercial, lending and funding. Mr. Galgano earned his law degree from Pace University School of Law and is admitted to practice in New York, the Southern District and the US Court of Appeals for the Second Circuit. Copyright © 2019 The Law Office of Gregory Kuczinski, Esq., P.C., all rights reserved.